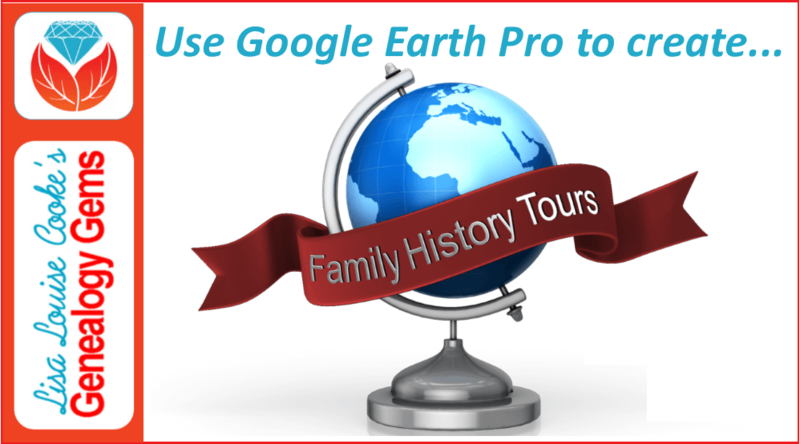 Use Google Earth for genealogy to find long-lost family locations on modern maps. Here’s how! It can be very surprising to discover that you lived somewhere that you never knew you lived. That was the case for Professional genealogist Alvie Davidson, who recently wrote to me. He’d done some fantastic sleuthing on his own recent family history, and discovered that his family had lived in Huntsville, Alabama when he was a toddler. “This is the first I have even known they lived in Madison County, AL.” But he was not sure about how to use Google Earth to help him locate the family addresses he’d discovered. Alvie sent me three family addresses. Then he asked for some step-by-step help instructions on how to put Google Earth to work to identify their location today. 1. Search each address in Google Earth. 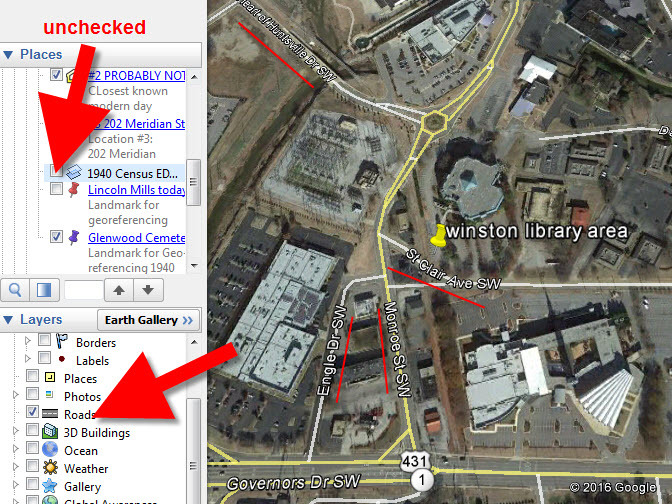 Enter the address in the search box in the upper left corner of Google Earth. If you get a hit, mark it with a placemark (clicking the button that looks like a push pin in Google Earth’s toolbar) and name it. In this case I found two of the three street addresses. 2. Locate a map of the area for the appropriate time period. With a little Google searching, I found the 1940 census enumeration map for Huntsville at the National Archives website. Here’s what that map looks like. (Image right) I then went in search of each of the three addresses on the map. In this case, I conducted a block-by-block search of the 1940 enumeration district map for the missing address: 110 Winston Street. Unfortunately, not all the street names were clearly legible on this particular map, and I was unable to locate it. You can learn more about locating enumeration district maps in my article How to Find Enumeration District Maps. Genealogy Gems Premium Members: log in and watch my Premium video 5 Ways to Enhance Your Genealogy Research with Old Maps featuring instruction for locating and using enumeration district maps. 3. Overlay and georeference the enumeration district map in Google Earth to compare the past to the present. Georeference just means to match up known landmarks on the historic map with physical locations on the modern-day map, thereby allowing you to match the two maps up together. By so doing, I was able to locate on the enumeration district map the modern-day locations of the two addresses that I found using Google Earth. There are businesses in both locations today. Below right is a screen shot showing the current location of one of those addresses. Clearly no longer the old family home. 4. Dig deeper for addresses that have changed. As I mentioned previously, I searched for the 110 Winston Street address in Google Earth with no result. If that happens to you, remove the house number and run a second search on the street name alone. Numbers can change, but it is important to verify whether the street still exists today. 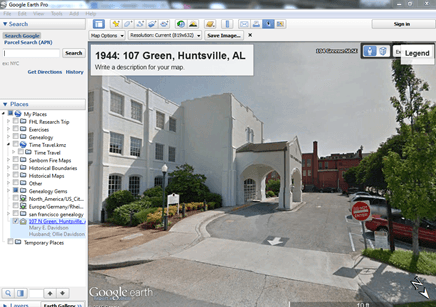 In this case, Google Earth did not locate a Winston Street in Huntsville, AL. Knowing that errors and typos can happen to the best of us, I ran a quick Google search for Huntsville, AL city directories, and verified that indeed Winston Street did exist at that time in history. So, at some point between 1940 and today, the name appears to have been changed. The quotation marks tell Google that each exact phrase must appear in all search results. The phrases will appear in bold in the snippet descriptions of each result. The result above caught my eye because it mentions the “Winston Street Branch Library.” Even when street names change, buildings named for those streets often don’t. 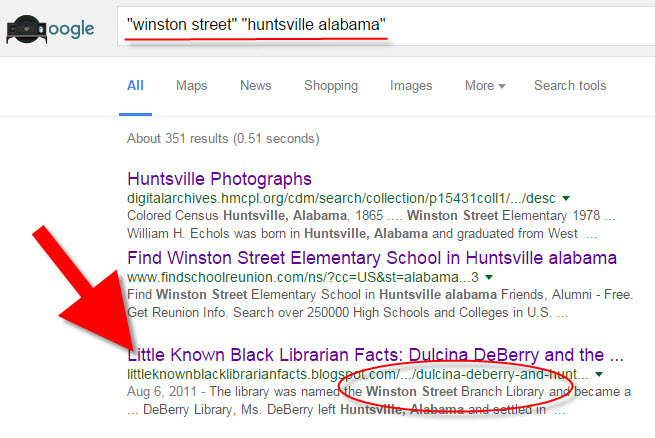 However, in this case, the website discusses the history of the library, and the Winston Street Elementary School. According to the website, the library “became a part of the Huntsville Public Library (now Huntsville-Madison County Public Library) in 1943. In 1947, the branch was renamed the Dulcina DeBerry Library.” Perhaps the street was renamed at that time as well. Genealogy Gems Premium Members: Sign in and watch the Ultimate Google Search Strategies video class to learn more. Jumping back into Google Earth I entered “Winston Street Branch Library” in the search box, and was immediately taken to the location, which is just south of the other two known addresses! 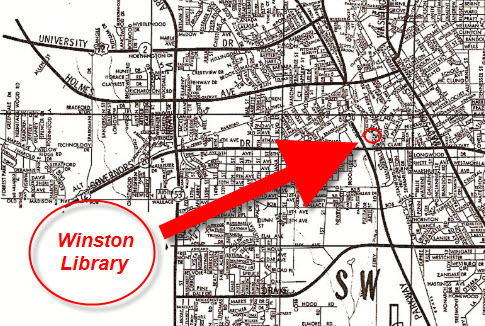 At this point I would recommend to Alvie, who is a Genealogy Gems Premium Member, to watch my video class Best Websites for Finding Historical Maps to track down additional maps from the time frame that may have Winston Street clearly marked on the map. Once I identified this landmark, I then marked the location with a placemark. 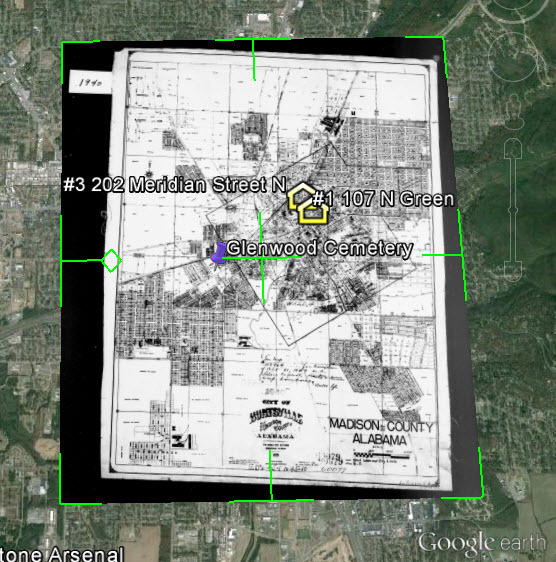 You can turn off the 1940 enumeration district map overlay by unchecking the box next to it in the Places Panel. Doing this revealed the location on the modern day map. Finally, I headed to the Layers panel and clicked the box next to the “Roads” overlay to reveal the modern day street names. You can use this technique when you have more success than I did in finding an old address on an old map. Overlay the map, position a placemark on the location, and then turn the overlay off. With one click of the Roads layer you can now see the current street name for the old location you found on the map overlay. We all have locations in our family history that have given way over time to new buildings and parking lots. By using the power of Google Earth, Google search, and historic maps, they don’t have to be lost forever. Learn all these Google skills–with step-by-step tutorials and video demonstrations–in Lisa’s book and Google Earth video tutorial. Click here for a special price on the bundle! Google Bundle! 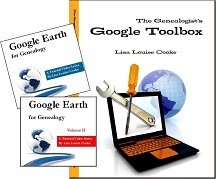 The Genealogist’s Google Toolbox Second Edition PLUS learn how to create your own historical map overlays in my Google Earth for Genealogy 2-video CD set. With Book Bazaar,you type in a title, author, keyword or ISBN to compare prices for books at online or local bookstores, and now with their new update you can search libraries. The iGoogle WorldCat Gadget is back! Kathy sent in an email she received from Ancestry that she found rather “big-brotherish” What do you think? I really enjoyed doing that episode and am so glad you liked it too. But even more, I want to thank Gus because he says he put my Genealogy Gems Podcast logo up on his blog with a hot link to my website. If you have a blog like Gus and would be willing add the logo with a link to the show that would be fantastic and let me know about it so I can mention your blog here on the show. 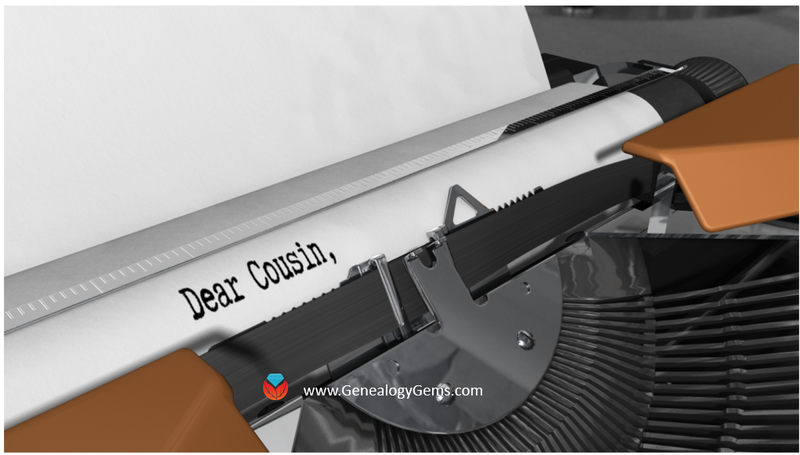 And also if you are a toolbar user and would like to share that with your readers, drop me a line at genealogygemspodcast@gmail.comand I will send you a neat little banner that you can include which makes it easy for folks to click and download the free toolbar. “Although Sanborn maps today have minimal interest for the fire insurance industry, the Sanborn Company is supplying updated copies of many of its maps and atlases to various clients. Today municipal governments are Sanborn’s best customers, accounting for 60 percent of map sales and services. Engineering and architectural concerns are also significant purchasers of corrected Sanborn maps.” And genealogists love them too! The largest collection of Sanborn maps and atlases is preserved in the Geography and Map Division, Library of Congress, where there are an estimated 700,000 Sanborn maps in bound and unbound editions. Read more about the history of the Sanborn maps. There are also many more maps available in hard copy and as part of microfilm collections; check with your local library or historical society. 3. Click on the first Map Index link. 5. Locate the Map Index page for the location. Result: Sanborn map for that location at the turn of the century. Front Images: First page of volume – sort of the title page. It should include publishing information such as the date. Map Index: which is a map that includes the sheet numbers to the individual map sheets, including the Key. Streets Index: is an alphabetical index by street name to the individual map sheets. Specials Index:an index of “special” places, such as businesses, buildings, etc. to the individual map sheets. Even if the maps for the area where you are researching isn’t currently available online, browse one of these Sanborn map collections to start to get familiar with them. And take the time to read the instructions on the websites for maps in the state where you are researching. You may find links to other sites listing where complete collections can be accessed on microfilm or in other formats. Watch Premium Video #6 in the Google Earth for Genealogy video series and you will be able to turn that map into a custom map overlay that can become part of your personal historic map collection in Google Earth. NEW: the Google Earth button. Great for quick location searches. 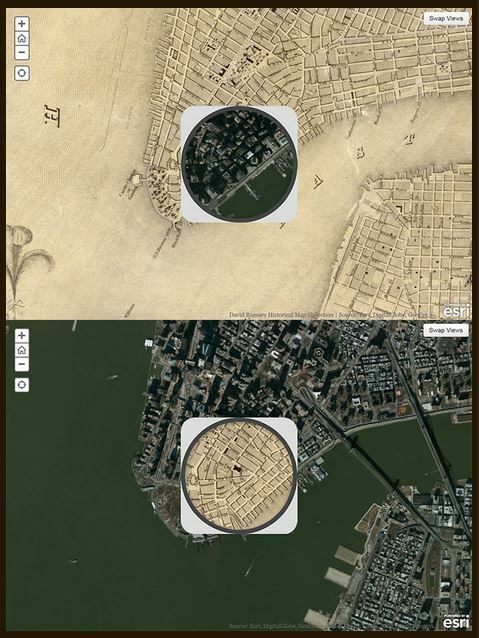 1836 map of New York City compared to modern satellite image, shown with each map in “spyglass” format. Image from David Rumsey Map Collection blog at DavidRumsey.com. I love showing people how to use online tools to compare historical maps to modern ones. You can map out your ancestor’s address, check out their neighborhoods “then and now,” map their route to work, see if their old home still exists and more. and Los Angeles in 1880. You’ll see great city layouts before the fire that claimed much of old Chicago, the San Francisco earthquake, the Lincoln memorial and more. The historical map of New York City is the oldest, but the other maps capture each city at a critical point in their growth. For each city you can look at a historical map with a “spyglass” mouse-over of a modern satellite image, or vice-versa, as shown in the New York City map on the right. Each map is accompanied by a fantastic Smithsonian article; the historical maps come from the amazing David Rumsey Map Collection. 3. 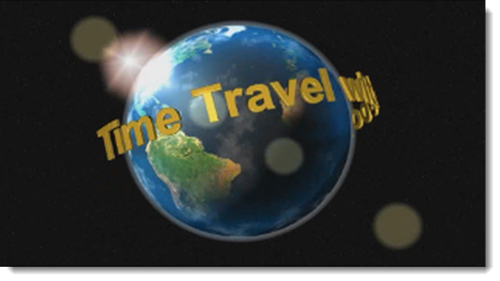 My new Time Travel with Google Earth video, in which you’ll see old maps, genealogical records, images, and videos come together to create stunning time travel experiences in Google Earth. This is available to Genealogy Gems Premium Members (learn more membership here). 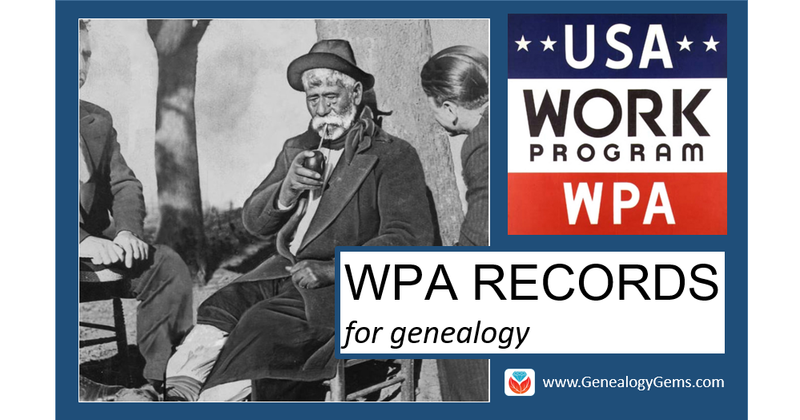 Have you used WPA records for genealogy? Their Historical Record Surveys and local and oral histories may help you in your family history research. Existing records and locations vary widely. Here are tips to help you in your search. In the late 1930s and early 1940s, employees of the Works Progress Administration (WPA, also known as the Works Projects Administration) created new resources for U.S. genealogical research. It’s possible you’ve even consulted some of these without being aware of their WPA origins. After all, the projects and their formats varied. They didn’t always prominently credit the WPA and some were printed long afterward. We’re going to shine the spotlight on WPA-era local histories, oral histories and statewide Historical Record Surveys. Actually, local histories were written as WPA projects. Their scope, topics, and formats varied, depending on the unique background and resources of each region and how active WPA workers were in each state and county. For example, WPA historical materials in Morrison County, Minnesota include “histories on townships, cities, churches, schools, businesses, the military, and miscellaneous county history topics,” which have since been collected and reprinted by the county historical society. Many historical projects included photographs, such as this one for the city of New Orleans. Other important WPA oral histories are narratives of former slaves and their families. You can browse an enormous collection of these online at the Library of Congress. These aren’t the ideal eyewitness accounts we wish for, as they were gathered so long after the end of slavery, from many who were young children at the time. Also, many researchers believe interviewees may not have spoken candidly, especially to white interviewers who may have known them personally. 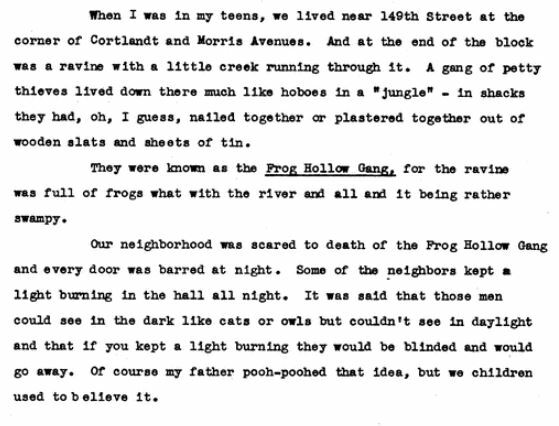 It’s a long shot to find an ancestor mentioned by name in WPA oral histories. In some instances, pseudonyms were even used for names and places. But, you can still learn a lot from others’ descriptions of daily life and unusual events your ancestors may have experienced. From one of the slave narratives mentioned in this article. Today, many of their efforts still exist. They include indexes to cemeteries, newspapers, and naturalization records, as well as inventories of courthouse records, church records, and other manuscript collections in various archives or libraries. Of course, some records may have been moved or destroyed since inventories were created, but knowing what records existed around 1940 and what they were called may help you locate surviving collections. Some indexes, such as those of cemetery tombstone inscriptions, may actually be more valuable since they captured information from tombstones that may no longer exist or be legible. 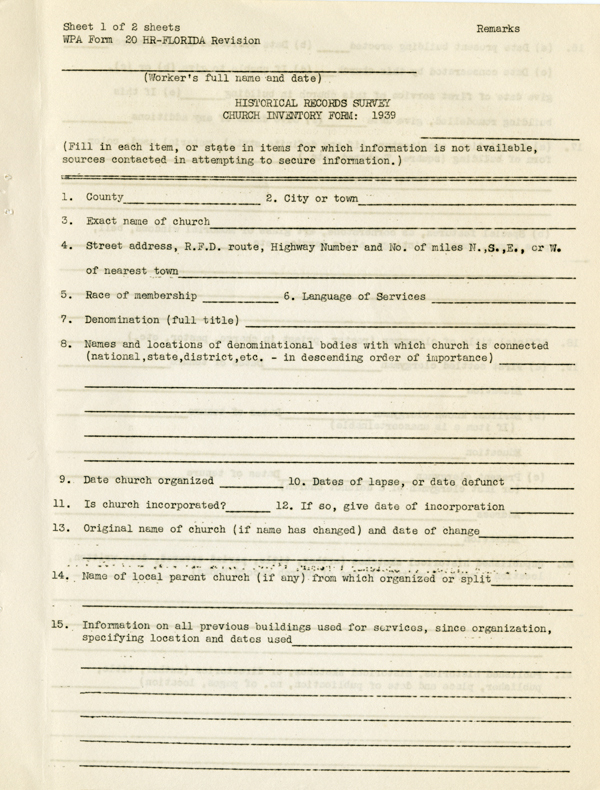 A blank WPA Historical Records Survey church records inventory form. Image courtesy of the State Archives of Florida. Click this image to find it online at Florida Memory. Some WPA projects were carried out on a federal level and others by state agencies. They were never centrally published or collected. Today, surviving original files and published volumes are scattered across the country. Some can be found in the National Archives, many in state libraries or societies, and many more available at local repositories. A Google search such as historical records surveys and the name of the state and/or county is a great way to start your search for WPA records for genealogy research. Some results will lead right to the kinds of resources you want, such as this guide to WPA records in archives in the Pacific Northwest. Others, such as this one for the Iowa Historical Records Survey published in The American Archivist, are mostly a history of the effort. However, they do contain several useful bibliographic citations to records that were created. Add the name of the county to your search and you may find more targeted results, such as this library catalog entry for the inventory of the Jasper County archives. 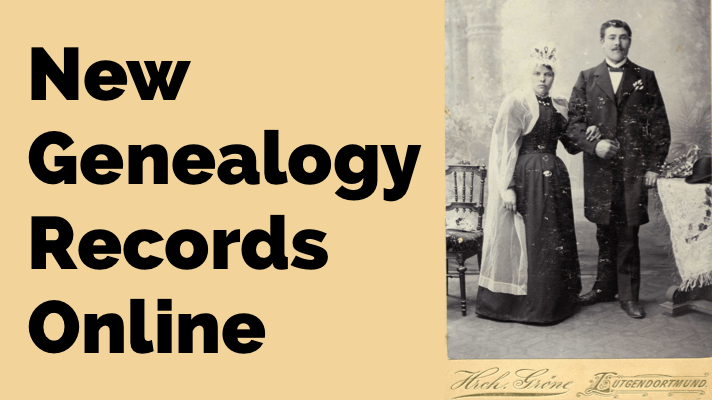 Click here to learn more about Google searches for genealogy records you want to find. Remember, though, that many WPA publications and collections aren’t identified as such. 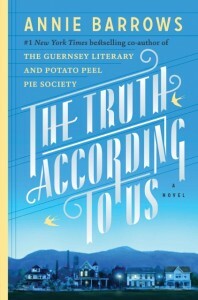 Don’t fixate on needing to find WPA listed in the title. Just concentrate your efforts on finding the local and oral histories, photos, historical record indexes and inventories, and other resources that may be out there. When you find one created during the Great Depression, you’ll know it may have been done by the WPA. Love what you’re reading and want to learn more? 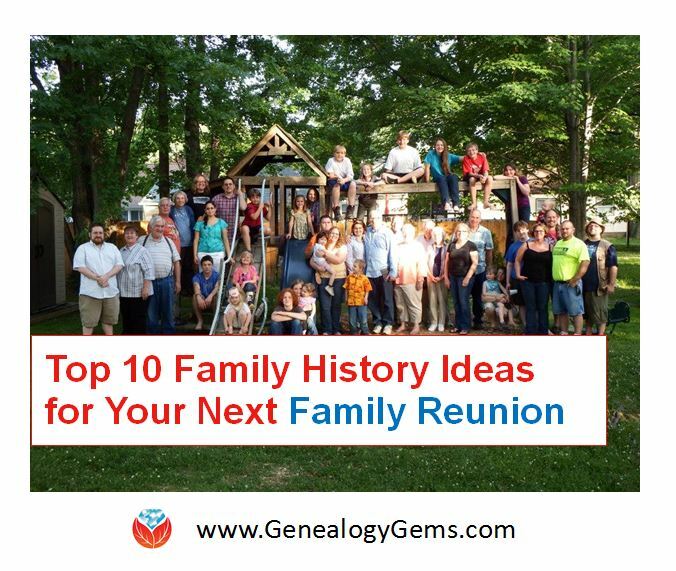 Go deeper into genealogy “gems” like these in Lisa Louise Cooke’s Genealogy Gems Podcasts. Lisa produces a free internationally-renowned monthly podcast that’s had over 2.5 million downloads! Additionally, Genealogy Gems Premium website members also have access to her full archive of monthly Premium podcast epidodes: check out a full description of these here including Episode 2 on WPA records for genealogy.